A green wall is an easy way to make a great first impression on people visiting your business. Here’s why designers should include green walls into their business model. Bringing green walls into your office space is a great way to boost productivity and improve concentration levels. One of the biggest benefits for designers, however, is how cost-effective modern green wall systems can be and, for design-build companies, living green walls can be a very profitable product line. 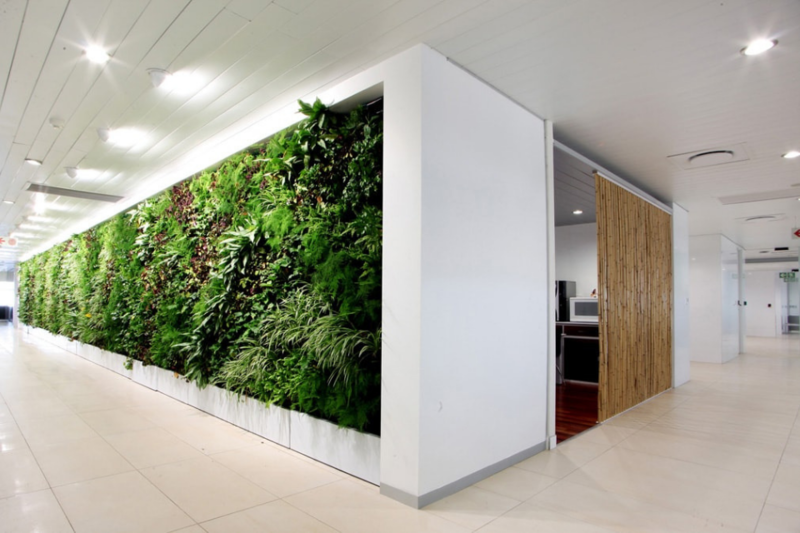 Why should designers incorporate green walls into their business model? Planted Places founder and landscape designer, Christy Ross, believes incorporating green walls into her business model has given her the opportunity to build great customer relationships year round. “What is really important from a business model perspective is that people will hire you and have one consult and you’ll complete one task for them. A green wall allows you to bring a whole new product offering with a higher margin to the market. How can designers benefit from using the GrowUp Greenwalls’ system? Ross continues and says she’s a unique designer as she puts together living wall kits with leafy and succulent plants and the GrowUp system has given her the opportunity to reach DIY gardeners in the San Jose area. The GrowUp Greenwalls system is a perfect fit for her business model as it’s extremely cost-effective, has a great watering and irrigation system and its installation process is very quick. Can designers profit from including green walls into their business model? Green walls can be a very profitable part of the landscaping business as they are high impact, fashionable and unique, and if planned properly can be installed cost effectively. Installing and maintaining living green walls also creates an opportunity for a recurring revenue source. 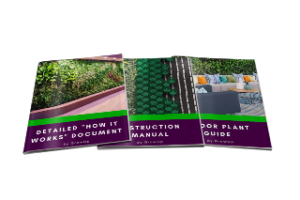 Planted Places has found working directly with a business like GrowUp Greenwalls very beneficial to their design and installation work with clients, and they recommend getting your designer and installer involved from day one. Designers, we’ll say it again! Incorporate green walls into your business model for their many benefits - and you’ll see the increase in your win rate and your profit margins. Previous Post Are you happy with your current green wall?